Piper Clark has been racing with us since she was 4 years old (She is now 10). She races almost weekly with her Grandpa Fred Klinger, who races in our expert division. Piper is a fun kid with a giant personality, most of the time wearing enough bracelets to almost cover her forearms. Recently she has been taking the competition portion of racing more seriously, making the podium a few times I believe had her wanting more success. 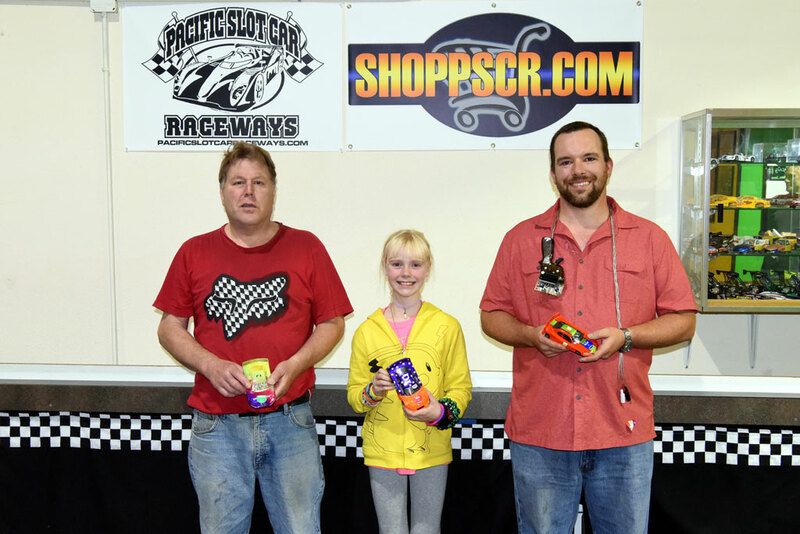 With a lot of effort and a bit of coaching by our Expert Divisions most winning racer Aaron Roed and of course her Grandpa she has finally made it for the first time to the #1 podium spot winning the race taking all the glory. Piper led every heat of the race while also setting fast times on 3 of the 8 lanes, and high heat total on 4 of the 8 lanes. She finished the race with an amazing 95.2% average only falling off twice by her own accord, 4 times total. We are very proud of Piper. We are also grateful for all the support she receives from adults. Being a 10 year old racing with mostly middle aged adults surely can’t be easy but everyone makes an effort to support and encourage her every chance they get. Jim Nelson took the second place podium position and Curtis Hardy who races in our Drag Program finished in 3rd. Piper also did more laps in her race than her Expert Grandpa did in his by nearly 7 laps, which would have had piper finishing 7th overall in the expert division.